As I’m in my 30s, I want to do whatever I can to treat my well and keep it healthy. I never thought I’d still have to deal with break outs. 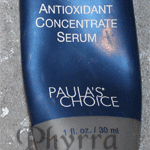 Several months ago, I picked up several of the Paula’s Choice products, one of which was Skin Perfecting 2% BHA Gel Exfoliant. Skin Perfrecting 2% BHA Gel is a water-based formula that exfoliates both the skin’s surface and inside the pore, reshaping the pore lining to unclog pores and improve skin cell turnover rate. This creates a dramatic improvement in the skin’s appearance, feel, and function especially for blemish-prone skin. There is a great deal of research indicating that BHA (beta hydroxy acid) increases collagen production and drastically smoothes the surface of skin. Additionally, BHA has anti-bacterial properties that attack blemish-causing bacteria. The silky gel base of this exfoliant is similar to the texture of the Skin Perfecting 1% BHA Gel but has twice the amount of salicylic acid to combat stubborn blemishes, including blackheads. Water, Methylpropanediol, Butylene Glycol, (solvent/water-binding agent), Polysorbate 20 (emulsifier), Salicylic Acid (beta hydroxy acid/exfoliant), Phytosphingosine (cell-communicating ingredient), Hydroxyethylcellulose (gel-based thickener), Vitis Vinifera (Grape) Seed Extract (antioxidant), Camellia Oleifera (Green Tea) Leaf Extract (antioxidant) Epilobium Angustifolium (Willow Herb) Flower/Leaf/Stem Extract (anti-irritant), Bisabolol (anti-irritant), Tetrasodium EDTA (chelating agent), Sodium Hydroxide (pH-adjusting agent). NOTE: Those allergic to aspirin (acetylsalicylate) should not use products containing salicylic acid (beta hydroxy acid). $15.96 for 3.3 fl. oz., $.80 for .1 oz. Yes, mostly. I don’t typically go for chemical exfoliants, I tend to use physical ones. However, I love how my skin feels after I use this. I apply this to my face, avoiding my eyes and massage it in to my skin. I leave it on for a few minutes, then I rinse it off. While I don’t feel this fades discoloration, I do feel that this helps my skin to be radiant. Yes! I do like this. I don’t use it every day, but I do like to use it once or twice a week. I do fee like it’s reasonably priced, too, like all of Paula’s Choice products. I did take off half a star since it doesn’t fade discoloration, but it otherwise works wonderfully. 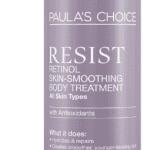 Paula’s Choice products are sold at PaulasChoice.com. Do you prefer chemical or physical exfoliation? What do you currently use? I love this stuff and just got a new order of it today, actually. I really like Paula’s entire line (I personally use the skin balancing line) because they work, they don’t break me out and they’re very gentle. I first found out about them a couple years ago when looking for cruelty-free skincare. Have you tried the 1% lotion or liquid? I know that obviously you know your skin best but maybe that’s too much salicylic acid for you? I tried the 2% liquid first and it really felt like applying water to my skin, that’s how gentle it was. By the way, you aren’t alone with your breakouts. I’ll be 40 this year and if I stop using the BHAs my skin nreaks out all the time. So frustrating! macface2adore I know, right? I hate having zits! misfitgirlie My skin is combination and sensitive. So I’m on the oily side. I actually did the following last night:Cleansed my faceApplied this exfoliant to my face, neck and decolette.Waited about 10 minutes.Applied the Paula’s Choice Retinol Serum.Waited about 10 minutes.Applied the Resist Hydrator moisturizer.Waited 10 minutes. Went to bed.I woke up with soft, slightly oily skin. Phyrra If I do my nighttime skincare correctly, that’s how my skin is when I wake up, too. 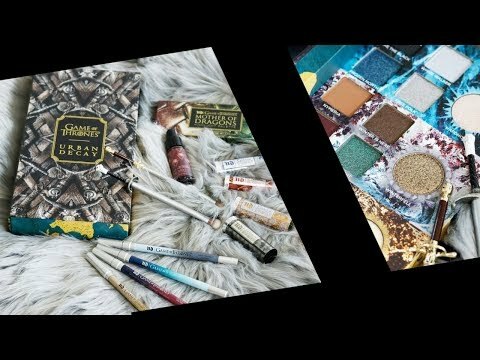 You are so good about waiting in-between products! misfitgirlie I set a timer on my phone or I wash my brushes or do other things in between so that I’m not just sitting in the bathroom waiting. Some days I’m better than others. I had a great experience with the 2% BHA LIQUID and believe that it definitely should be avoided or at least used on a reduced-schedule basis by anyone with sensitive skin. I had a purging reaction in the beginning and almost sent it back due to some redness and tenderness, but I stuck with it. I chose the liquid because a lot of the PC reviews on the website said that the gel “balled up” under the skin and didn’t fully absorb under products. YMMV, of course.I don’t use any PC topicals at all anymore because I now use a prescription topical called Ziana, which combines a retinol plus an antibiotic. So far I’m happy with that. NoorInNJ Yeah i can’t use anything like this daily. Just wanted to comment on one thing you mentioned in your review. I’m sure you’re aware and have your reasons for applying this the way you do, but for anyone inking of trying this product, know that it is not meant to be a rinse-off product. Though it’s considered an exfoliant, it is designed to be left on the skin. It’s possible that’s why you’re not noticing the fading effects on discoloration :)Salicylic Acid is oil soluble, which is one of its benefits over AHA exfoliants- it can actually penetrate into the pore and pull out oil & dirt blockages. It’s possible that leaving it on for a short amount of time is enough for the acid to dissolve away some of the gunk in the pores, but not long enough to dissolve the keratin bonds that hold dead cells to the surface. It’s this action that aids in a lot of BHA’s benefits (reducing appearance of pores & dark spots, smoothing skin). OutInAPout Yeah, I was afraid with my sensitive skin if I left it on it would freak out. Misti K I feel like it keeps them clean. I don’t think anything can truly shrink your pore size, but keeping them cleaned out helps.